So you’re in Delhi for just about half a day and you want to absorb as much as you can about this place.This post is all about places to visit in Delhi in four hours. Yeah,that’s right ! I’m saying this because I’ve covered these many places in four hours straight ! Delhi has a very good metro rail service. But given the fact there is less time on your hands, it is advisable to hire a cab. I started with Jantar Mantar. Though I knew it was in Delhi, I did not know it’s importance. 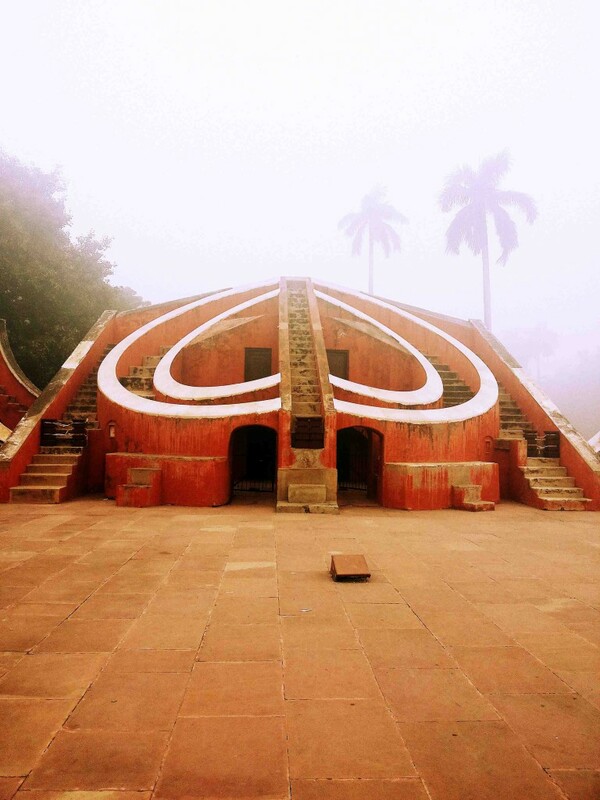 Jantar Mantar [I love this name! Somehow it sounds damn cool to me], is an observatory constructed in order to predict the times of movements of moon and planets. There are 13 instruments here and all of them look absolutely gorgeous with the crimson red color.While I was there, some restoration work was going on. My next stop was India Gate, Rashtrapati Bhavan and Parliament. All of them are very close to each other. If you get to this place, you will get to see all the three must see places. I was at Delhi just about the time of Republic Day. Few days were still left for the grand parade that happens at India Gate. So, I witnessed people practicing for the parade early in the morning near India Gate and I was so thrilled to be seeing this. First of all, the entire atmosphere was so charged up and then I saw how much of security goes in to put up a grand show for our Republic Day. On my way to Humayun’s tomb, I stopped for a bit at Bangla Sahib Gurudwara. It is considered as the biggest Gurudwara in Delhi. I so totally loved this place. It is so very peaceful and it always feels good to see people volunteering to help others. I do not have a pic of this Gurudwara. Sometimes, it is more of you just want to feel the place and be part of it than anything else. 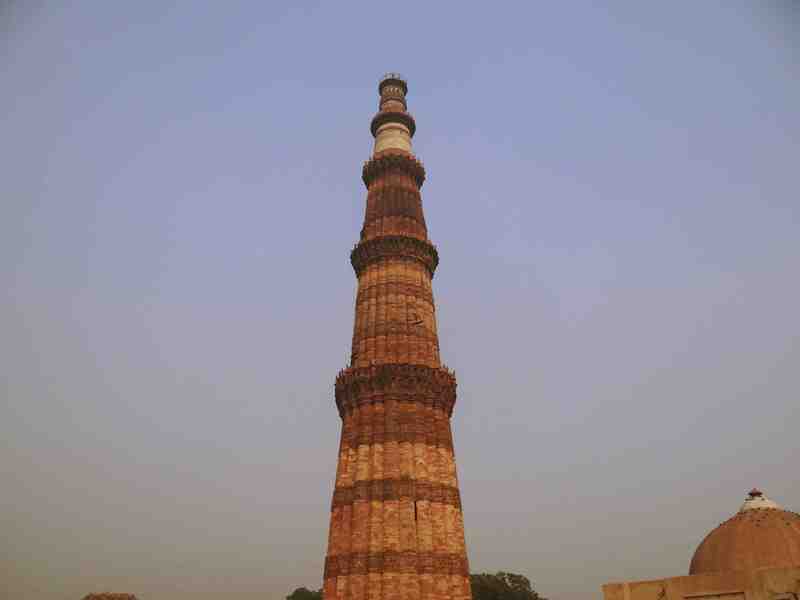 Humayun’s tomb and Qutub Minar were on top of my list of must see places in Delhi. I’m still sad at the fact that I couldn’t get to Jama Masjid. But, I shall get there someday and explore. 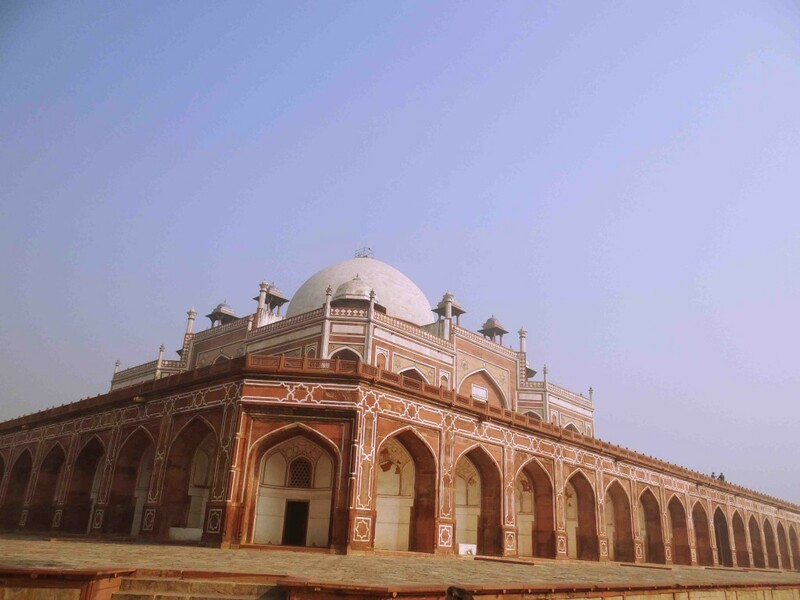 Humayun’s tomb is one masterpiece. Keep aside atleast one hour to witness the beauty of it. 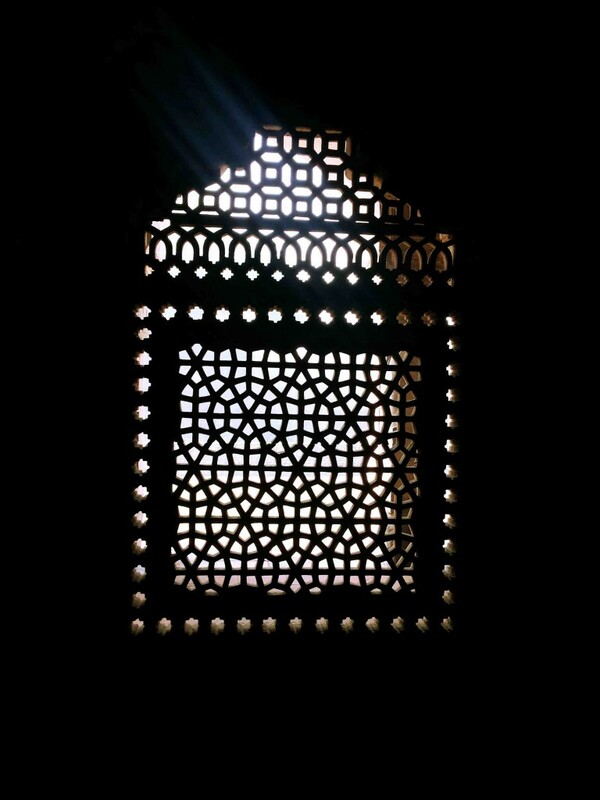 If the artisans were still here with us today, I so would have wanted their autographs !Humayun’s tomb is the manifestation of love by Emperor Humayun’s first wife Bega Begum. She got this done in his memory. 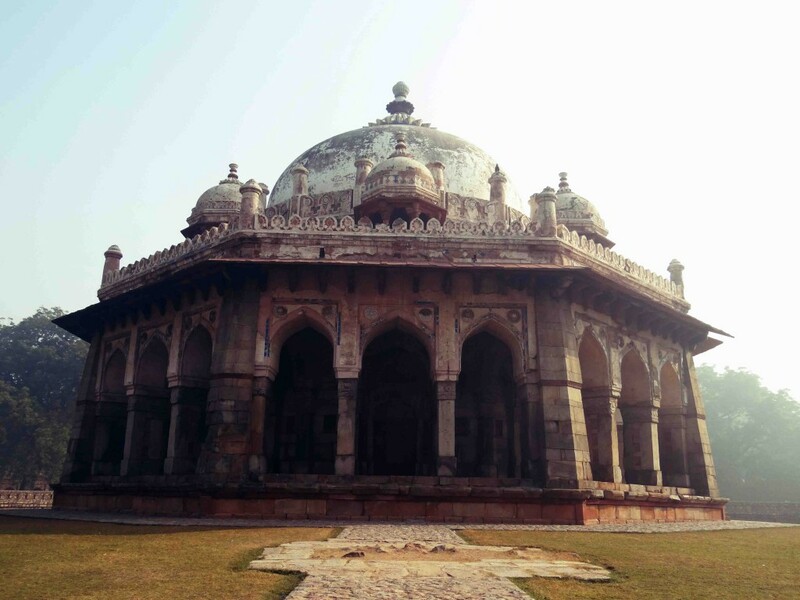 Don’t forget to visit Shah Alam’s tomb within the same area. 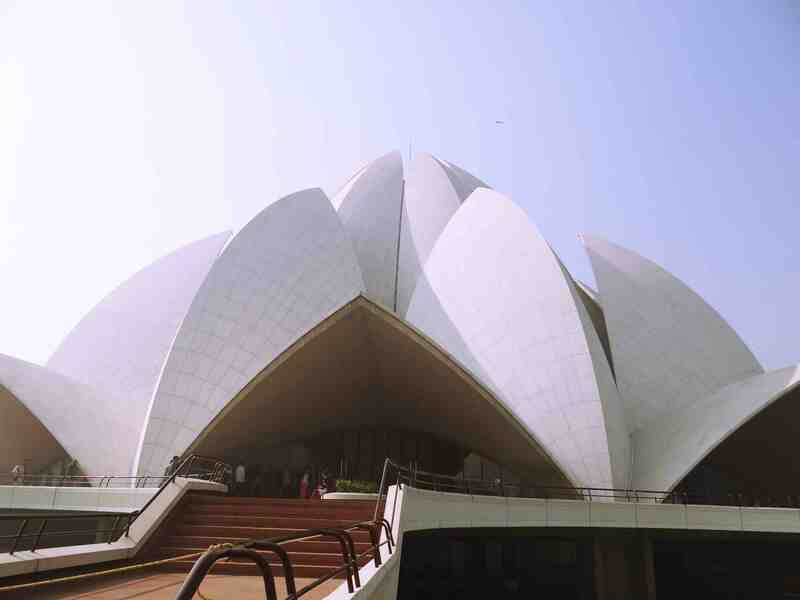 I headed to Lotus temple for some Bahai teachings. This was one place where even though hundreds of people were there, pin drop silence was maintained. Such is the power of the place. This is where one can sit and meditate and the walls are adorned with Bahai teachings. Before I could run for my flight, I had to visit Qutub Minar. If you ever step into Delhi, please do visit this place for it’s sheer brilliance. I was so blown away. I’m not sure how people came up with such architectural wonders. 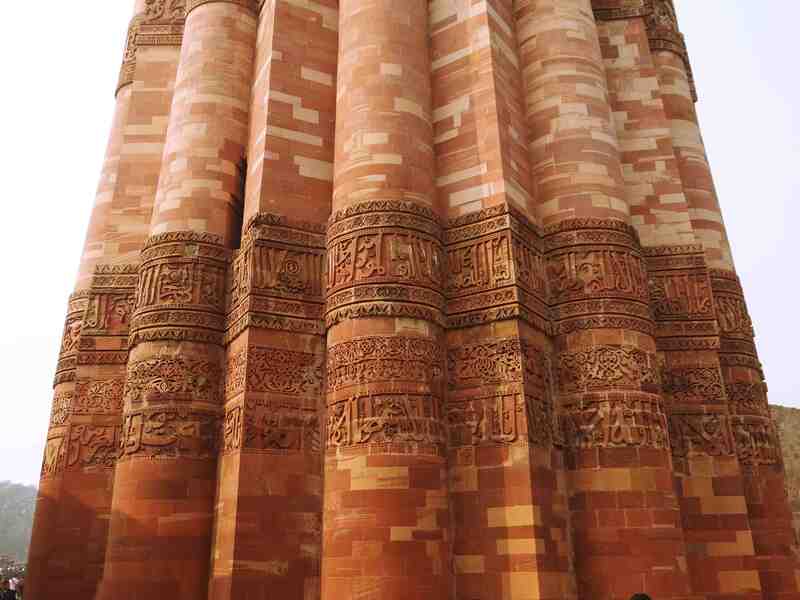 So much of intricate carvings adorn this stunning monument. I was just reading about it and then it refreshed my history classes. 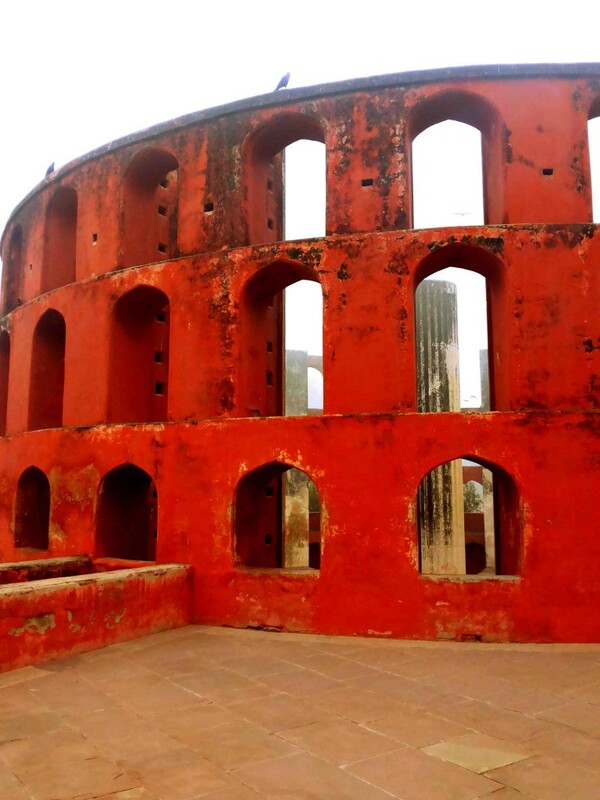 It was constructed to celebrate the victory of Mohammed Ghori over Rajput King Prithviraj Chauhan. Even the arch had to look beautiful ! 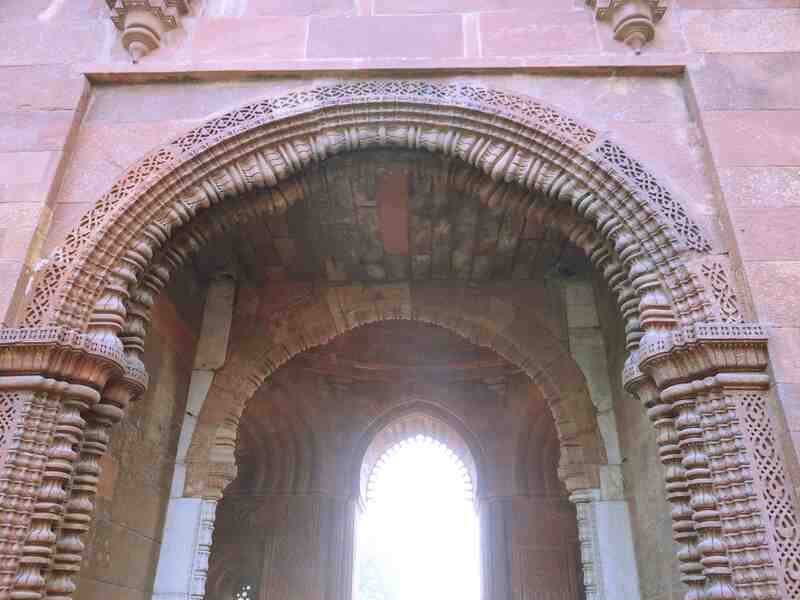 This is the Alai Darwaza. Thanks to my flight getting rescheduled, I got a chance to visit some of the must see places in Delhi. I so want to be back to get to many other places. My four hours in Delhi was just so memorable. I believe the next time would be even better ! kudos for the cab driver to be so patient for the whole 4 hours. You went through as many places as I have visited in Delhi in my life time that too being from NCR. I have visited central Delhi a lot of times but my journey starts and end at CP. Glad to see the enthusiasm in you cause it missing among the locals. Yeah Kudos to the cab guy! He took us to all the places so patiently. I so want to visit Delhi again for all the awesomeness it has to offer Thanks much for your encouragement ! Thanks for sharing this article. 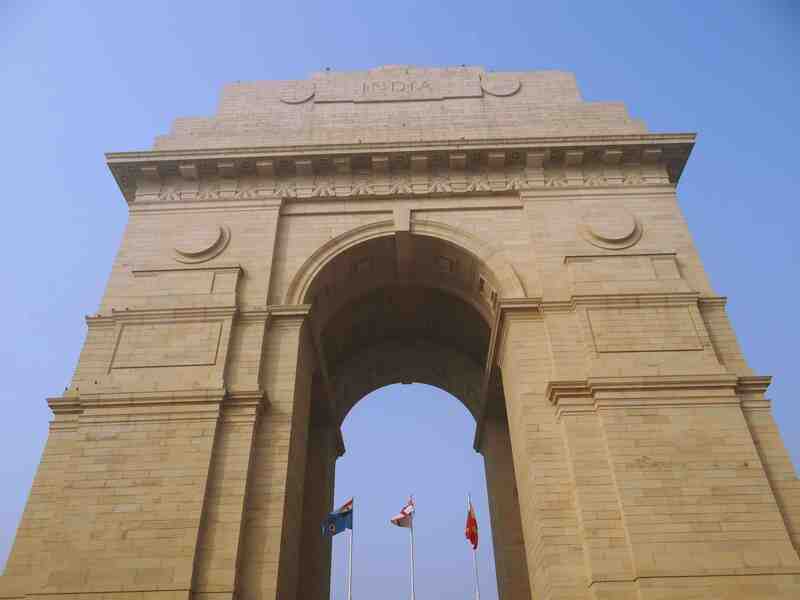 will definitely visit Delhi very soon….. Please check out my link and you will get to know about Kolkata & its heritage history. Travel is a way of life!